1. How did you get involved with VFUK? 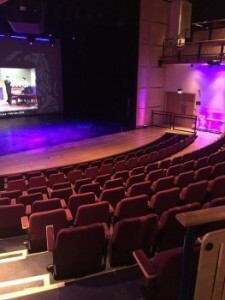 Last year I was kind of a ‘Birmingham Consultant’- I showed a member of the team around Birmingham Conservatoire before the venue had been decided for the finals in 2015. When it was announced I just helped out in whatever way I could. I also got to MC the semi-finals this year (which was an experience!) along with helping out at the Edinburgh Showcase this Summer gone. When I heard there were openings in the team I thought it would be great to get involved in VFUK in a more official way – so here I am! Fringe Festival Officer. 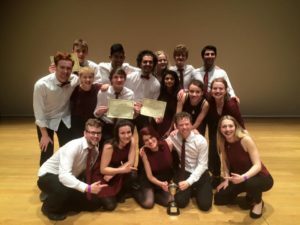 I’m going to be working with other members of the team to organise events (such as showcases, workshops and other events) and try to support and promote UK a cappella up in Edinburgh. 3. What has been you favourite VFUK moment so far? Probably the atmosphere at the showcase up in Edinburgh. As shown by their self arranged football tournament- every group is just up there to have a good time. It was great to be up there, and I can’t wait to start the planning for next year! I was lucky enough to shadow the Swingle Singers at the LACF 2015 for an academic project I was doing, and I still find their ability to sing in such a dynamic range of styles to be pretty captivating. There are some amazing groups out there (Pentatonix, The Real Group… and I’m a big fan of Voiceplay) but the Swingles just tip it for me. I unintentionally found myself doing stand-up at the fringe festival this year… and sadly that isn’t a joke. 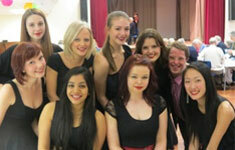 I’m a final year vocal and operatic student at Birmingham Conservatoire. 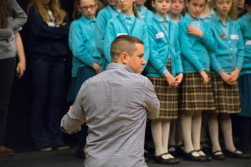 I also run vocal and outreach workshops at local schools, societies and events. Not sure what to expect from our Festival Weekend? Trying to decide which of our fabulous participant groups you want to win the youth, university and community competitions? Fancy learning a little more about the workshops on offer? 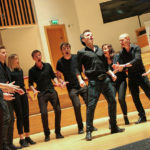 In classic Voice Festival style, we’ve popped together an interactive guide for all you a cappella fans so you can explore the world of our annual Festival Weekend in a bit more depth. If that’s not enough for you, at the weekend itself there will be programmes available for purchase that offer biographies, schedules, photographs and more!